Title: Book; "Our Water is Critical to the Quality of Our Life." Compiled by Karl Orndorff and Eric Hemler. 2008. 85 Sheets. Chicken Run drains Bonneauville and flows into White Run about one mile west of the town. There is a small feeder stream that flows into Chicken Run on the western border of Bonneauville. Until 2008, the stream had no name. It was while searching for pottery shards from the famous Ditzler/Baecher kiln that young Eric Hemler thought that the waterway should be named. 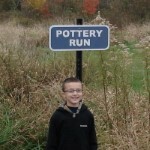 He chose "Pottery Run." This book is a compilation of steps, processes, forms, and communications required to officially name a natural feature. Included are kudos, newapaper articles and correspondence regarding the success of the venture. 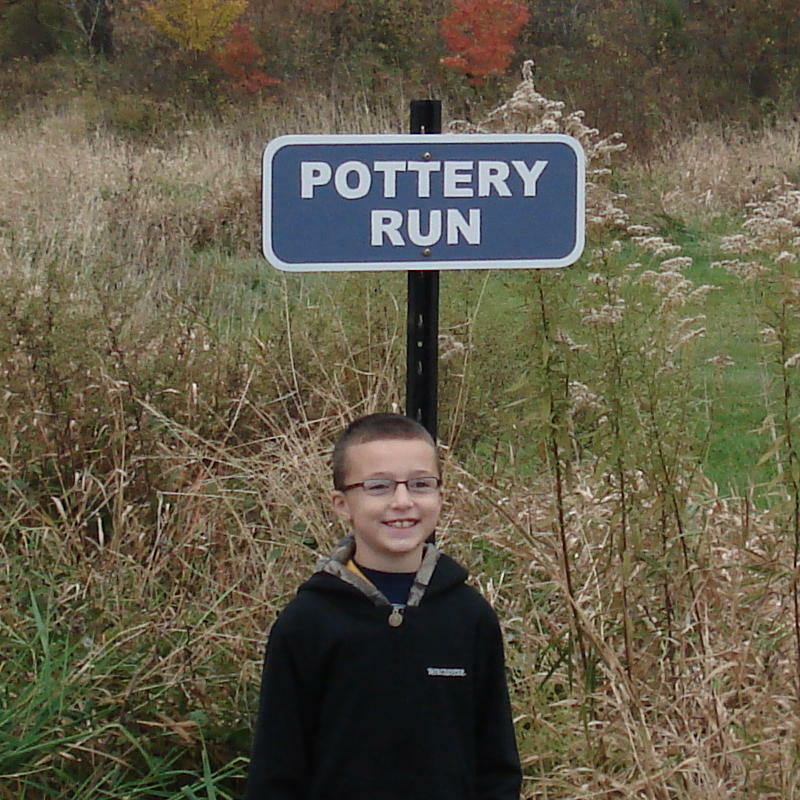 Five years after beginning the project, "Pottery Run" signs appeared along the Hunterstown Road North of Bonneauville. One advantage of the efforts was that the stream, which became polluted with everything from large appliances to cans and bottles as a result of the Hurricane Agnes flooding, was cleaned up. 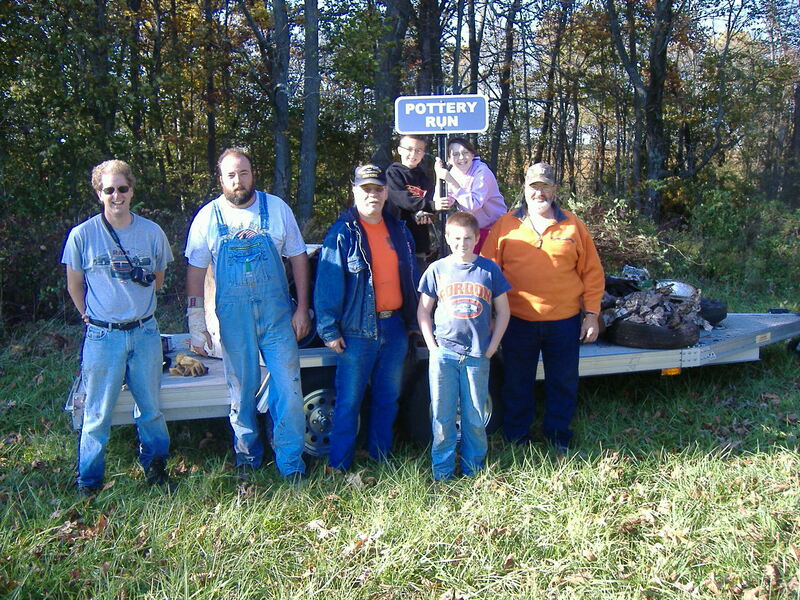 Volunteers were Jim, Joe and Toby Gallagher, Roy Lehto, Dale Reed, Eric and Emily Hemler and Karl Orndorff. Although the pottery shards found while exploring the stream were inconclusive, several Native American artifacts were found in the area during the initial exploration and cleanup. Photo 2008-03A; Pottery Run cleanup crew, front: Dale Reed, Joe Gallagher, Roy Lehto, Toby Gallagher, Jim Gallagher. Rear: Eric and Emily Hemler. Photo 2008-03B; Eric Hemler at Pottery Run sign. Photo 2008-03C; At the time of cleanup Joe Gallagher worked as a rigger for Hulcher Services. (Hulcher routinely sets derailed trains back on their tracks.) 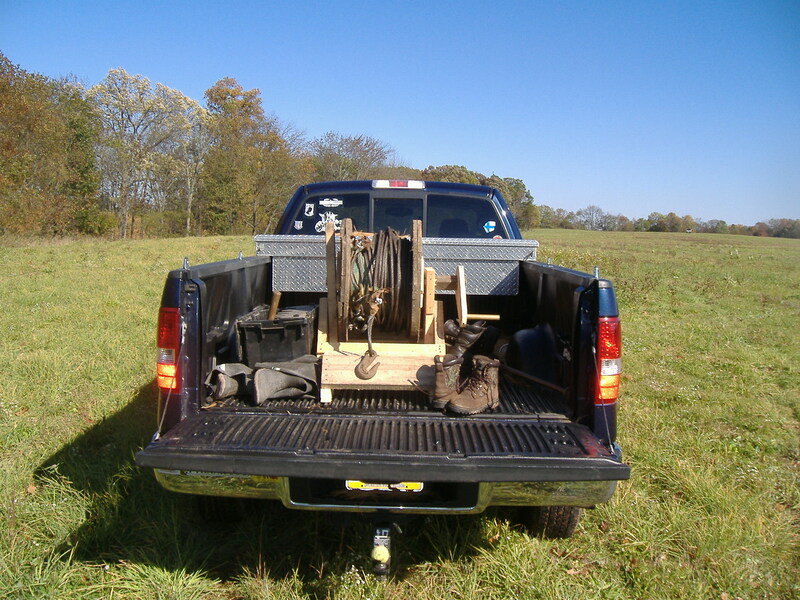 It was primarily through Joe's skills and guidance refrigerators and stoves were successfully moved hundreds of feet from the stream bed, through standing trees and brush, to the trash truck.